I’m a fan of this hour long variety show that ran for four seasons on NBC from September 17, 1970 to June 27, 1974. 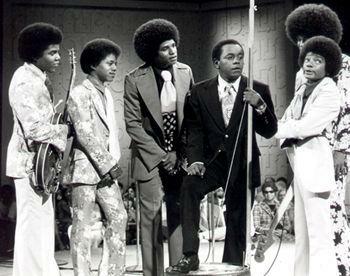 The main star was comedian Flip Wilson. And while hard to imagine now, it was ground-breaking 43 years ago to have an African American headline such a hugely successful primetime show on network television, with a mostly white audience. Not to mention this premiered only 6 years after the passage of the landmark Civil Rights Act. Yet by its 2nd season, it was the 2nd most watched television show in the nation. Flip Wilson started his career playing to small clubs doing stand-up then rose to fame thanks greatly to Redd Foxx. After Foxx discovered this bright new talent, he overwhelming endorsed Flip to Johnny Carson. Consequently, Flip appeared on The Tonight Show more than 25 times with guest spots on “Rowan & Martin’s Laugh-In” and “Love American Style.” NBC offered him a multi-year contract for his own show following his part of a Bob Hope special that showcased a parade of young comedic talent. The format was comprised of comedy skits starring Flip himself as a variety of characters, along with popular stars of that time and music acts of the highest caliber. These music performances reflected some of the best and hottest in the industry: Louis Armstrong, James Brown, Ray Charles, Ella Fitzgerald, Roberta Flack, Aretha Franklin, Mahilia Jackson, Lena Horne, Gladys Knight and the Pips, The Pointer Sisters, The Supremes, The Temptations, Stevie Wonder and the Jackson Five were some of the legendary highlights. Also ground-breaking was the stage itself. Flip’s opening monologues and skits were performed in a “theater-in-the-round” stage set with the audience wrapped around practically every side of it; a first in variety show style. The sets were often sparse too, which was intentional to focus on the talent. What’s memorable about this variety show was the diverse and long list of celebrity guests. Many times the musical acts would partake in the skits. Some key regulars were some of the funniest talent in television. 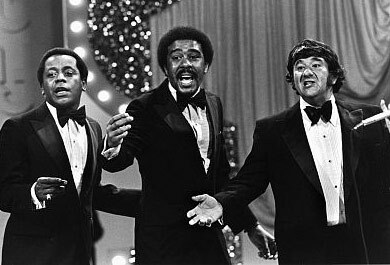 Tim Conway, George Carlin, Richard Pryor, Redd Foxx, Melba Moore, Bobby Darin and Roy Clark all made repeated appearances. In addition, dozens more of the most popular names in comedy and entertainment made guest spots over the 96 episodes… Bing Crosby, Bill Cosby, Ruth Buzzi, Lily Tomlin, Phyllis Diller, Don Rickles, Tony Randall, Johnny Cash, Jack Benny, Sammy Davis, Jr., Marty Feldman… the impressive list goes on and on. One of the reasons for the show’s extraordinary popularity besides showcasing the biggest stars of the entertainment industry, was the writing talent. Flip was the creator behind many of his characters and shared his writing talent along with the rest of the top-notch writing team of Richard Pryor, George Carlin, Herbert Baker, Hal Goldman, Hal Goodman, Al Gordon, Don Hinkley, Sidney Green, Larry Klein, Richard Hills, Stan Burns, Mark Marmer, Bob Schiller, Peter Gallway, Paul McCauley, Norman Steinberg, Bob Weiskopf and Winston Moss. 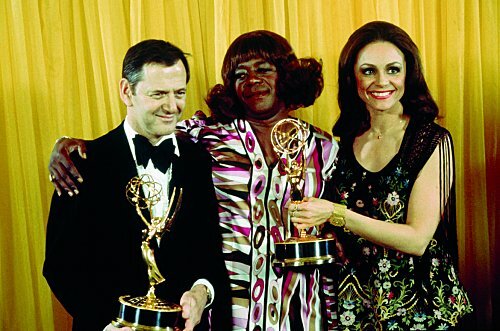 The Flip Wilson show earned 16 Emmy nominations and won 2 of the golden statues for Outstanding Writing Achievement in Variety or Music (1971) and Outstanding Variety Series- Musical (1971). 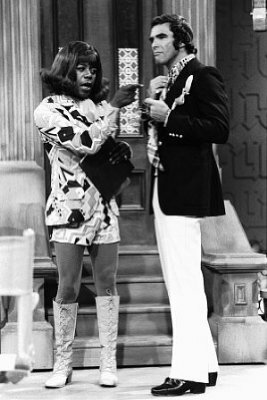 The Flip Wilson Show was cancelled after it’s fourth season, just as television began to transition away from the variety show format. It will forever be remembered for being a hilarious show of many monumental firsts and one of the last great variety shows from that era. A few years ago and because of my nostalgic memories of this show, my sister gave me the DVD collection of these shows as a very sweet gift to me. But my strongest memory related to this show was my Flip Wilson/Geraldine doll. As a little girl I owned a soft doll that had colorful fabric sewn of Flip on one side and Geraldine on the other. It had a pull string with a plastic ring that played several pre-recorded taglines that either Flip or Geraldine would say. I LOVED that doll. Who knows whatever happended to it but if you ever run across one that has actual working sound- please alert me! Thanks, Aurora! It was such a fun show. And as looney as it sounds, that crazy, colorful doll was my lil treasure. The 70's… What a groovy time, eh? 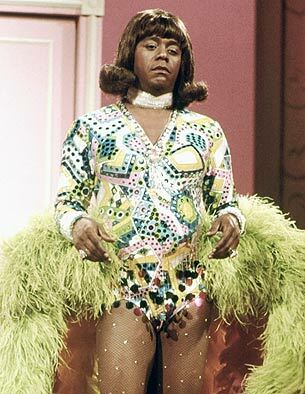 The 30 Rock character Tracy Jordan reminds me of Flip Wilson. Some people make nasty comments about Flip Wilson now, but he was a black man working within a system that hadn't fully evolved yet. I enjoyed reading this–my first real article on your site. BTW, welcome to the CMBA. Great post! I didn't realize how ground-breaking this show was or the number of awards it won. Great piece. I wish some channel would rerun these shows. They'd be fun to watch. Kellee, every kid watched Flip's show when I was young and "the devil made me do it" was one of those expressions that quickly became a national phenomenon. I never knew that Redd Foxx was instrumental to Flip's breakthrough nor that Flip had appeared that many times on THE TONIGHT SHOW. Very informative and entertaining post. As for your Flip/Geraldine hour, it'd be interesting to see what the PAWN STARS would pay for one in the original box! Page~ I'm tickled pink to hear we share this same beloved memory of our Flip/Geraldine dolls. I know you delighted in watching that video as much as I did! Thanks again for the warm welcome into the CMBA! Kim~ I totally see that Tracy Jordan parallel. He was a ground-breaker for his time and hilarious! Thanks again for visiting my site and please come back again! Love the warm welcome to the CMBA! Thanks, Ruth~ so glad you enjoyed it! Thanks, Will! In doing my research, I discovered that they ran half-hour versions on TV Land channel from 1997 – 2005. I had no clue. My DVD collection only shows these half-hour versions. Bummer- I'd rather see the full-length original versions of all 4 seasons. Thanks again for sharing! 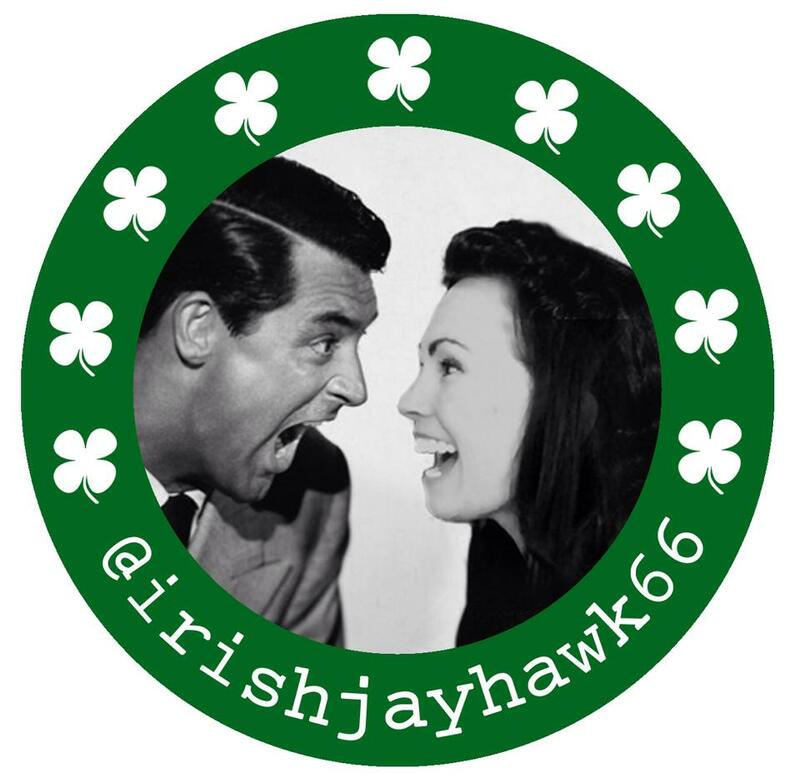 Rick, thanks so much for hosting this fun blogathon! I had a blast writing this piece and I'm happy you discovered new trivia as a result. Appreciate your feedback here! Great stuff, Kellee. I think this is a show that often gets overlooked when we talk about variety shows. Thanks for spotlighting this! Thank you for your wonderful post.. I do remember watching the Flip Wilson Show.. One of My favorite sketches was when Flip Wilson played "Geraldine" with Bill Cosby! !I also want to welcome you to the CMBA! Great post and choice of topic. This brings back memories of a tremendously talented actor. 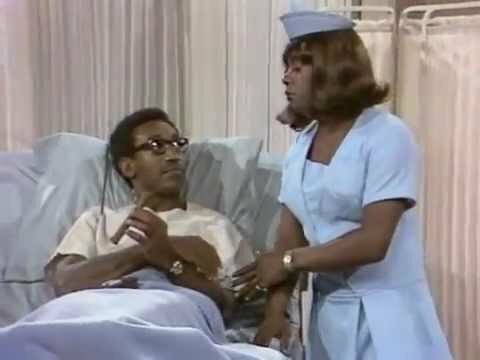 For those who want more of Flip, there are several Flip Wilson Show clips available on youtube (including the Bill Cosby hospital scene). I just watched a few of those. Mitchell- thanks ever so for reading & commenting on my blog piece. It is indeed a show that despite its enormous popularity back then, is often overlooked now. Thanks again for stopping by! Thanks Dawn! I'm so pleased you enjoyed my piece on Flip. You're right- that Bill Cosby sketch is hilarious. It's included in my DVD collection! And a special thanks for the warm welcome to the CMBA!! Jeff- wasn't Flip just hilarious?! It brings back so many wonderful memories when I watch those old skits and keeps me laughing. Happy to hear they have the same affect on you. Thanks again for your kind feedback! My mom wouldn't buy me the Flip Wilson/Geraldine doll but I remember throwing a tantrum in the store when she said 'no.' One of my proudest moments! Your post brings back great memories.